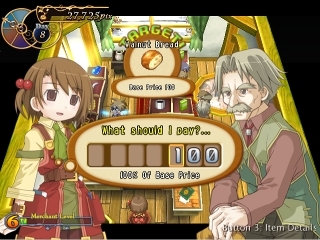 So just what is Recettear, you ask? 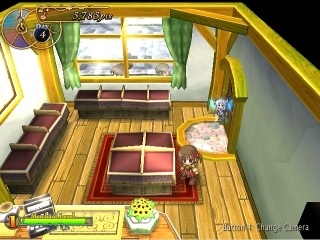 Recettear is a game about an item store, the girl who lives in it, and the fairy whose job it is to make sure that the girl doesn't burn down the item store by accident. Playing the game involves gathering items - either by playing the markets in the city of Pensee, or grabbing an adventurer and delving into the dungeons that dot the countryside - and selling them to the customers who come through your doors. 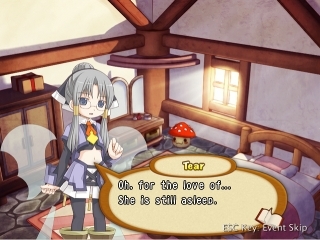 Tear, the fairy, is here to collect on a loan your father took out - and she'll have to take the store, which doubles as your house, if you can't pay up! 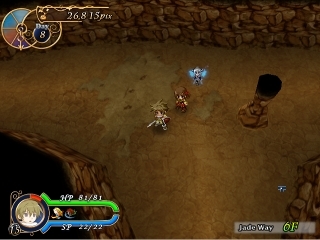 The game is split into two main parts, then: selling items, and exploring dungeons. 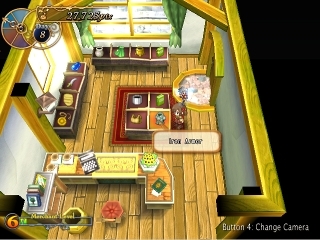 There isn't really much of anything quite like this combination in any other game, and the number of items you can find is massive. Selling items and dungeon diving isn't all there is to do, however. 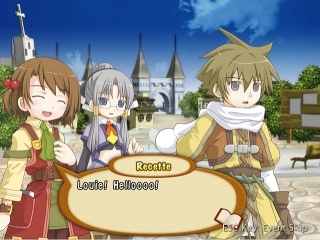 There's quite a cast of characters to meet in Recettear, some friendly, some less so. Their fates tie into your own, though, and helping them out could lead you to riches beyond your wildest dreams! So what're you waiting for, Recette Lemongrass? You've got a debt to pay, and only so much time to do it in.